Upper part of a rectangular marble base (w: 0.55 x h: 0.60 x d: 0.57) with moulded panels on all four sides. Once inscribed on front and back, the inscription on the back erased; on the left side a patera, on the right a jug in relief. 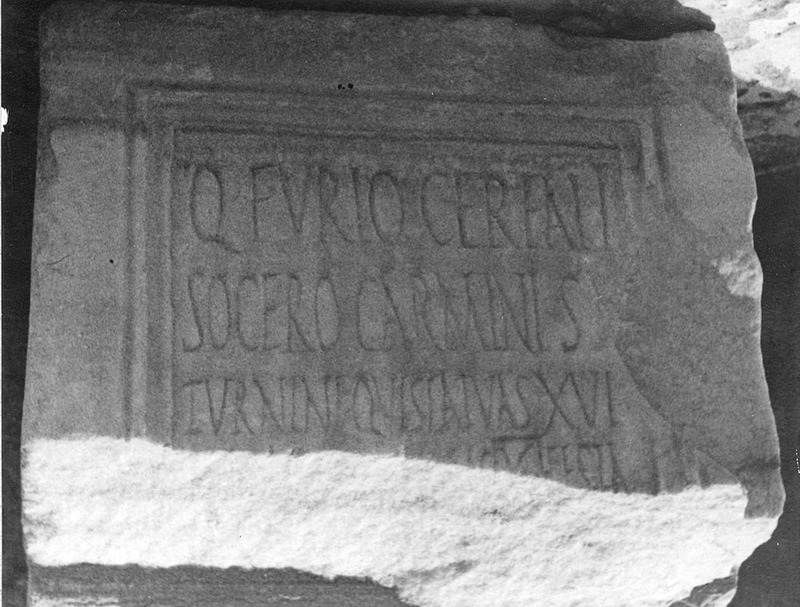 Inscribed on the front (die, w: 0.35 x h: 0.24). Capitals with some Rustic forms: ll. 1-2, 0.06; ll. 3-4, 0.04. Lepcis Magna: Colonnaded Street: in the monumental exedra at the head of the street .